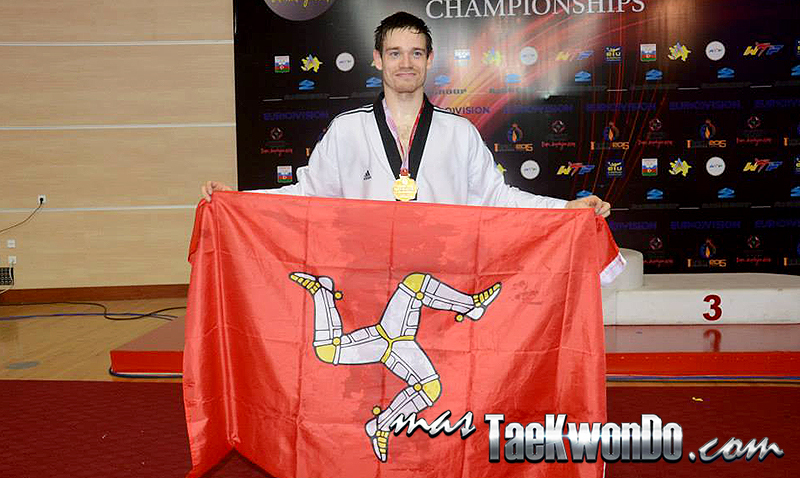 The British who now defends the colors of Isle of Man, reached the top of the European Taekwondo after defeating in the Final none other than British Damon Sansum. This is the third senior European title gotten by Aaron , but the first without being able to defend his country, because as we all know, due to problems with GB Taekwondo, he decided to look for another national team in order to continue competing at an international level. Aaron Cook has been European Champion six times: Cadet Division (Palermo 2005), Junior (Baku 2007 and Kharkov 2010) and Senior (St. Petersburg, 2010, Manchester 2012 and Baku 2014). 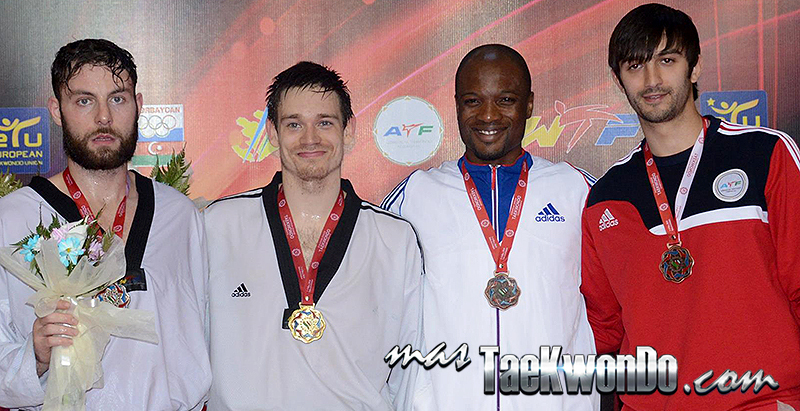 The Final at the 2014 European Senior Taekwondo Championships had an extra emotional ingredient, as Aaron had to face Damon Sansum, the British representative who was defeated in a thrilling fourth round after finishing 12-12. Cook and Sansum had already fought in previous occasions twice in open Championships with a win for each one. Sansum had won at the Paris Open in 2013 and Aaron took revenge in the Bahrain Open 2014. During the European Championships Taekwondo, Aaron Cook becomes Champion after beating Moldova 15-3, Italy 14-13, France 14-2, and Britain 12-12. Aaron used his Facebook account to give his appreciation of everyone, especially the people of the Isle of Man for trusting him and his family, for all the support they are giving to him, and thanked especially his brother and coach.